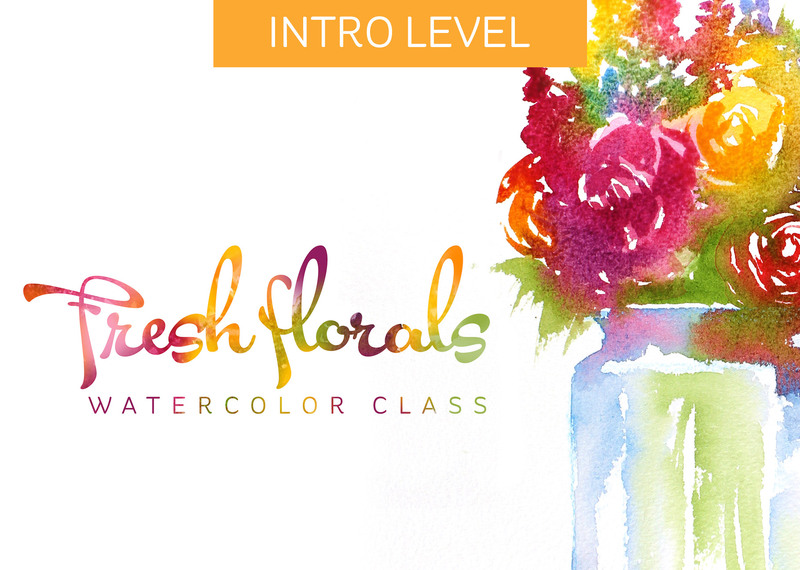 This intermediate class teaches techniques for loose flower painting – from trillium to snapdragon to ranunculus and roses. After learning how to paint a selection of flower styles – which can be adapted to create a variety of similar flowers – you’ll learn how to combine them into a wreath painting, and also to create different types of glass vases. Prerequisite: It is recommended that students have a basic working knowledge of watercolor; a little introduction will be provided, but the rest of class will assume students’ understanding of colors, edges, and movement of watercolor. Note that if you get into class and realize you need to learn more first, you do have lifetime access so you can come back and complete class any time. Let’s get started painting flowers!